Just a quick post to say that this weekend I’m off to the Isle of Arran, with the Camb-Hams belows the offical info from the site! I can’t wait! 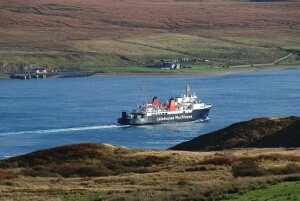 The Camb-Hams are off to the Isle of Arran for the 2011 DX’Pedition. The dates will be from May 1st till May 8th 2011 from a cottage on the west of the island near Balliekine IO75HO. As usual, most HF bands will be activated with SSB, data and some CW (but please be patient!). VHF operations will be on 6m and 4m SSB/data (JT6m), and being a little more south than Harris, we will also activate 2m both SSB/data (FSK441). We may also have time for 2m and 70cm satellites. Some portable VHF activations will be done around the island with the group’s portable operating shack Flossie. This year the CRG (Cambridgeshire Repeater Group) has a new callsign G6PYE which we will use alongside the traditional G3PYE. As the activation is in Scotland, the prefix becomes GS for a club station in Scotland, so listen out for both GS3PYE/P and GS6PYE/P. You can find more info on the website http://dx.camb-hams.com and we’ll all be on Twitter tweeting away like normal! what’s the best way to find out the frequencies you’ll be using from Arran? I don’t think I’ll have enough power or suitable aerials to get back to you, but I’d like to listen out for the activity. Best place will probably be either the cluster or the website.. suspect there might be some live info.